The Master Lock No. 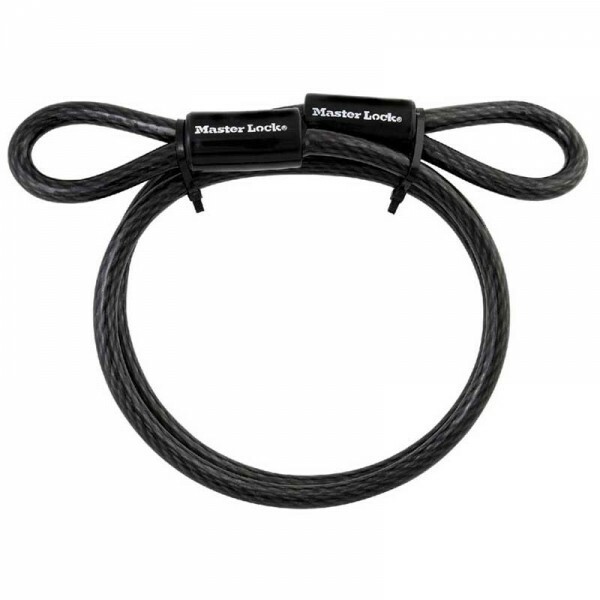 85D Looped End Cable is 4ft (1.2m) long and features 3/8in (10mm) diameter braided steel for maximum strength and flexibility. The protective vinyl coating protects against scratches. The cable is self-coiling for easy storage. This cable is recommended to be used with laminated locks, solid steel locks, and mini-U-locks; to secure large or bulky items. The Limited Lifetime Warranty provides peace of mind from a brand you can trust.